What is a Study Set? A Study Set gives you a larger scale look at the home that interests you. It includes all four exterior elevations and two floor plans, shown to scale, so that you can experiment with furniture placement and traffic patterns, for example, before committing to a specific home. Each Study Set is just $250.00 in Canadian funds. (NOTE: Canadian residents add applicable taxes) You can recoup your cost for the Study Sets by entering into a design agreement or construction contract. 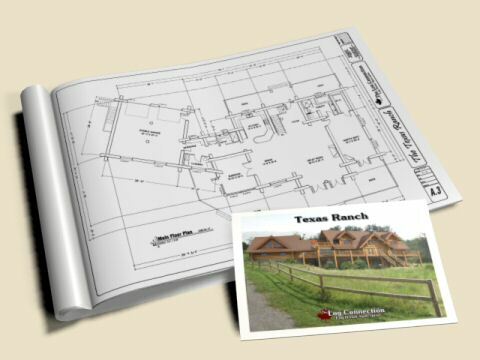 Study Sets may not be used to build a home; they are stamped "NOT FOR CONSTRUCTION". A Study Set does not contain construction specifications. Short of full construction documents, this is the most economical way to plan your home. Note: Your purchase of a Study Set will be deducted from the cost of any log home package! Overnight Shipping Charges Are Added To Billing Total (Estimated $55.00). I understand that the Study Set is copyrighted. * Free delivery included in United States and Canada only.